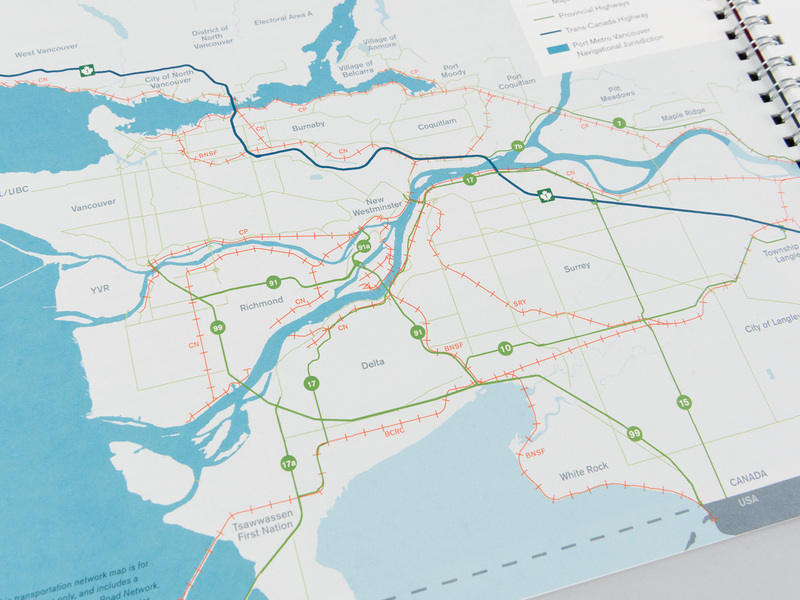 Port Metro Vancouver is Canada’s largest and most diversified port, a gateway for domestic and international trade and tourism and a major force in the Canadian economy. 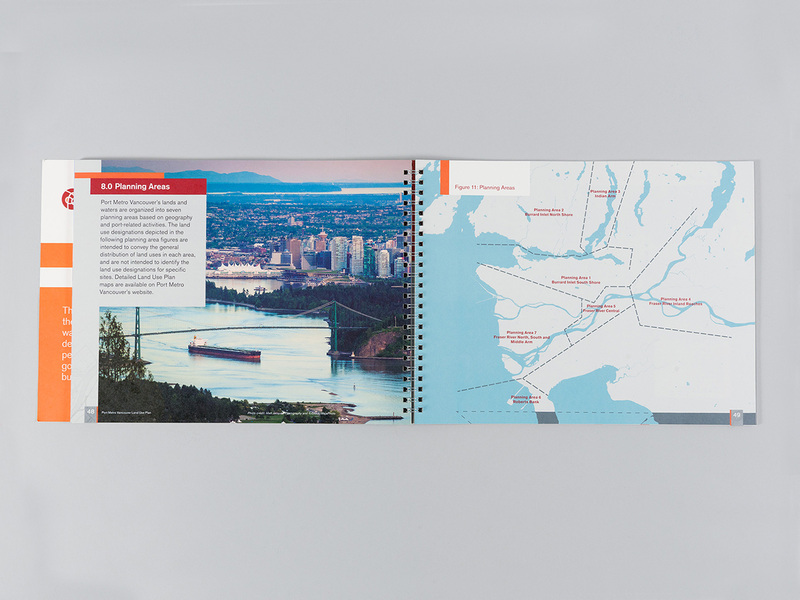 The Port’s biggest challenge remains balancing commercial and community interests in all their endeavours. 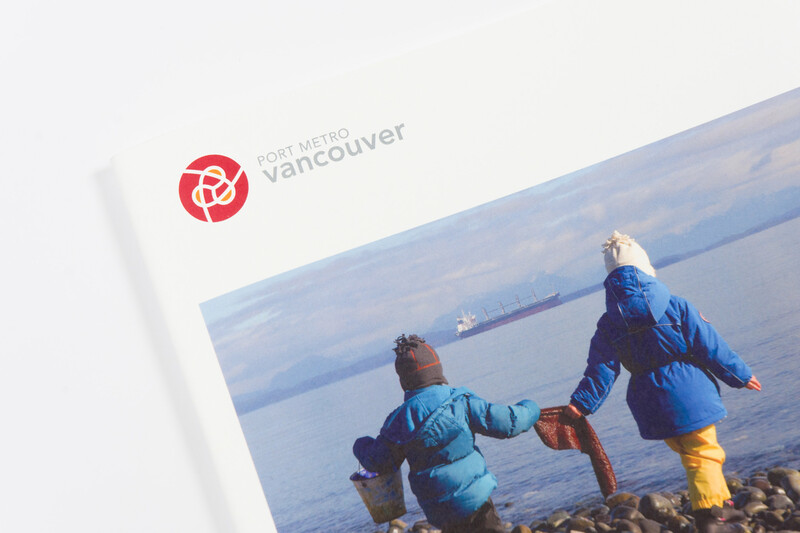 Port Metro Vancouver’s external communications frequently deal with sensitive issues and competing priorities. 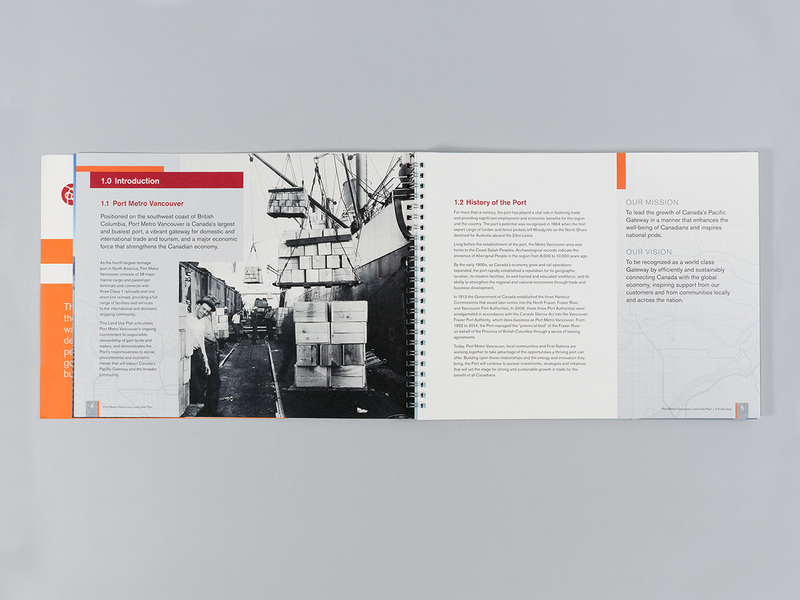 When the Port engaged Signals to create its publications, the design challenge was to present its performance in a transparent, credible and balanced manner. 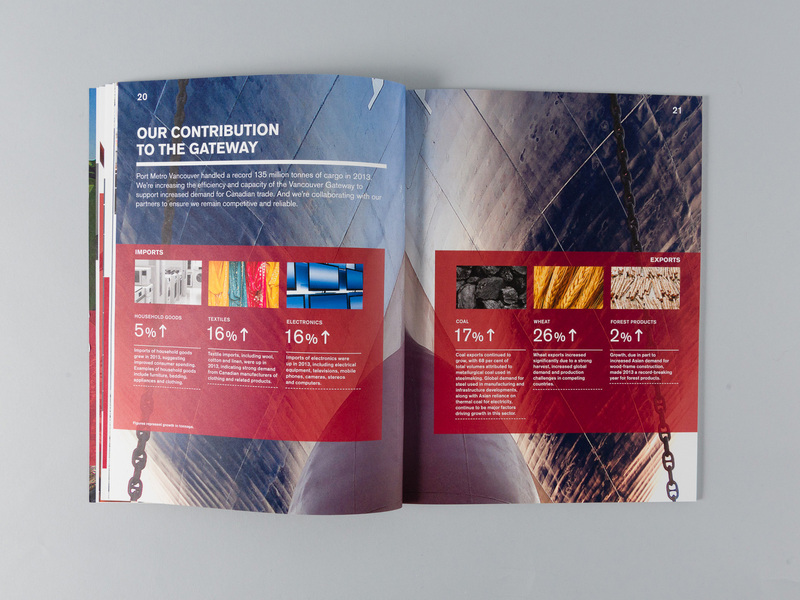 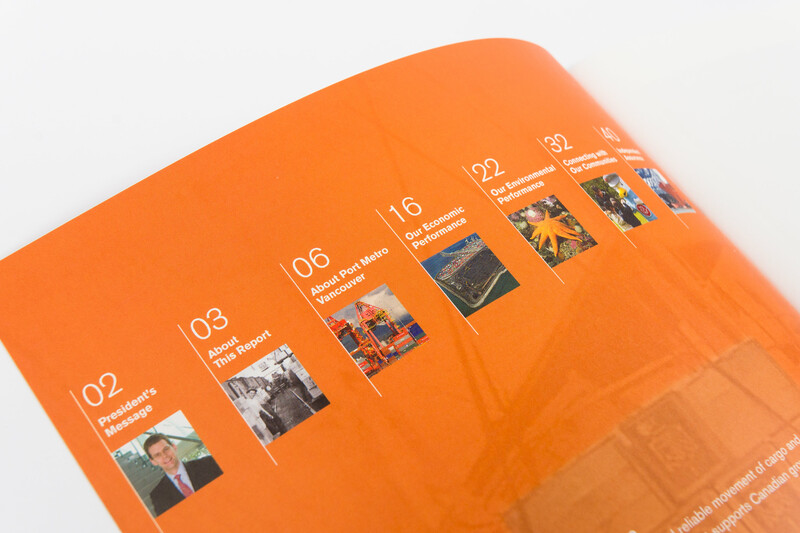 Our design for the 2013 annual reports focussed on improving readability and creating a context for the Port’s operations. 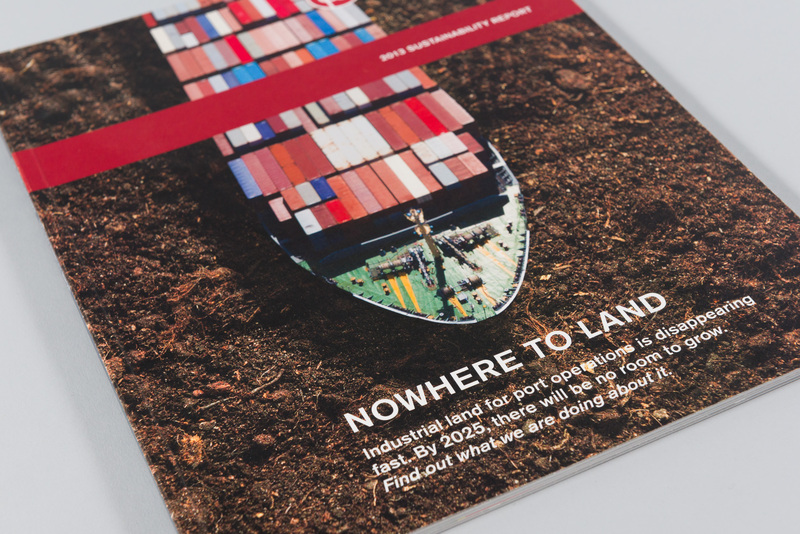 We designed a compelling cover for the Sustainability Report to tackle one of the major issues head-on: the shrinking base of industrial land. 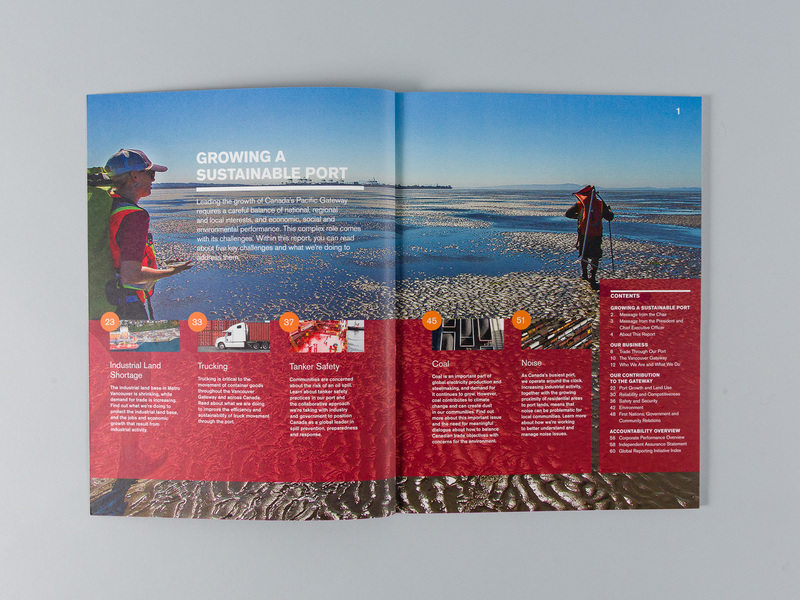 We also created a treatment to feature “hot topics” so that issues of economic growth, environmental and community concerns received equal attention throughout the Sustainability Report. 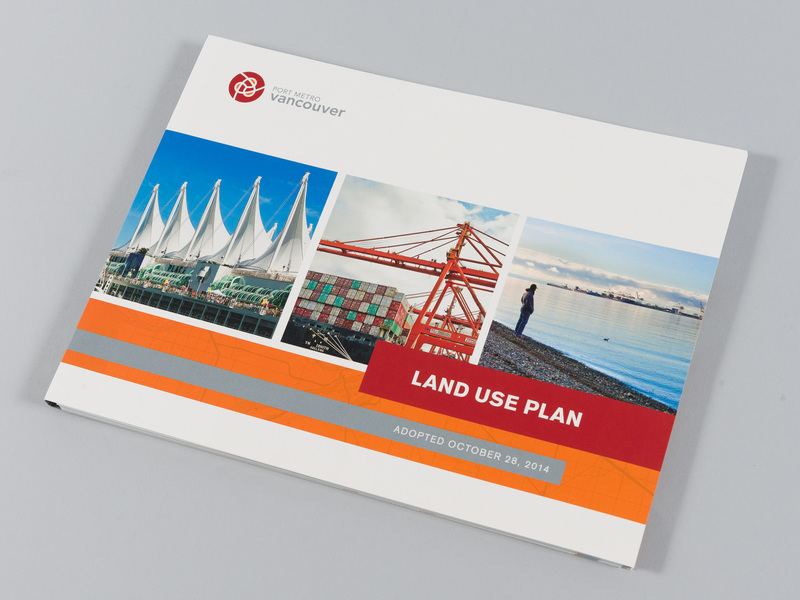 © 2019 Signals Design Group.